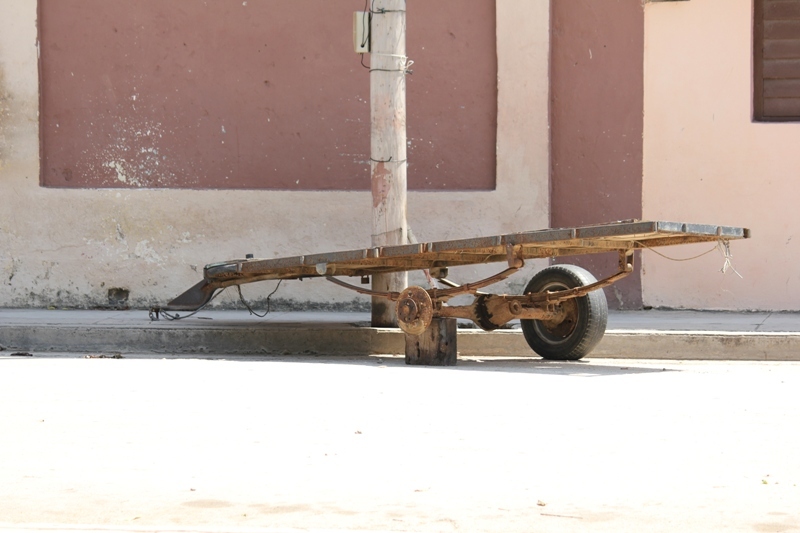 Halfway between parodies and absurdities, Cuban life can also be described with parables. This ruinous structure is named “The Impulse”, and during its moments of major splendor (if it indeed ever had any) it provided some sort of gastronomic service. Once, at a pizzeria named “La Fontana de Trevi” I ate spaghetti with pepper sauce and ground…pork? beef? chicken? The water was a bit more than room temperature — I would say it was nearly warm. The forks and knives were tied down to the table by a small string. A lady would come and clean them in a tray, to later place them back on the table. 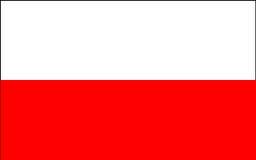 I have seen stores named “Prague Fashions”, “Moscow Restaurant”, “Hotel Pernik” (a Bulgarian flower), and “Leningrad Theater”. The participation of foreigners in any daily Cuban event ups it to “world-wide” range, not just international. Debuts of any sort of dance, theater, or musical works are always w-o-r-l-d-w-i-d-e debuts. Though we still have no rights, we are still referred to as citizens and our society is described as civic and civilized. Groups of paramilitary soldiers who respond with beatings when they are called upon by whistles, and always ready to dish out savage beatings with sticks and clubs against anyone who expresses themselves differently. Those are the ones who make up the supposed “civil society”. A federation of women with very little rights, committees of citizens who keep watch and snitch on each other, and farmers who dedicate themselves more to shouting government slogans than to working the land. These are the profiles that make up a sick country. Raumel Vinajera Stevens is a Cuban, a black Cuban with no fear, and he has proved this various times. When this post is finally uploaded, it’s quite possible that Raumel will continue to be one of the ones on top of the list of people who will most likely fill in the cells of those who have been deported to Spain. It’s very difficult to get used to living in a country which gives off the image that nothing is happening, when in reality everything points to the fact that were are walking down the eternal path to nothingness. The country falls apart and the single party rises. People die of desperation and dismay while the official newspapers announce the government’s international high ranking position in regards to health and education. I mutter these words while the media presents the new political cabinet which is supposed to “ventilate” the future of the nation, but my neighbors and I know very well that nothing we haven’t seen before is going to occur. Not even the supposed measures which some dreamers had hoped for can lift our fallen spirits. The family sitting beside me on the truck which brought me back from my monthly trip to the cyber-cafe all agree that if they miraculously sell their car, their house, and move to Havana without a special permit, then such actions will bring relief. I, on the other hand, just think it would be a drain. My neighbor, standing next to me in line to buy sweet potatoes on the Sunday before the Congress, crossed her fingers so that her daughter would be able to return from South Africa after being denied permission to return to her homeland for 6 years. In all honesty, she was actually waiting for this from the Party Congress. It seems as if the grand communist meeting is functioning as a sort of “open sesame” for all the national ailments. The worst part is not what they expect, because in the end people are owners of their own ingenuity. The worst part will be when the meeting is over and there is total disappointment. In the midst of the international crisis, the country is headed downward, but the only two newspapers, which in reality function as one entity, say the opposite. The television shows images of the nation we have never been and millions of spectators await the turning point of this olive green authoritarian misgovernment melodrama which we have helped fabricate with so much silence and permissibility. “On March 14th, while he was out on the street again, he tells me that around 5 pm he was verbally and physically attacked by a paramilitary officer who had also been present during the February 23rd demonstration when he was detained. This man really attacked him and screamed at him: ‘Worm! Counter-Revolutionary!’ and other obscene words. Ariel, according to what they tell me, simply got off his bicycle and that’s all. He was later detained on March 17th and has been behind the bars to this day, which is soon going to be a month exactly. He has been kept in the Las Mangas jail in Detachment 1-2”. It was during the last days of March that I heard the unfortunate news: those of us who are cinema fans have lost the “Humberto Solas” Poor Cinema Festival. A disagreement between the convoking groups of Holguin and Havana left us helpless — those of us who would visit a film theater without prejudice and with less intentions than the those who have commercial tendencies or transcendent postures which some filmmakers want to include in every moment of their lives. All sorts of artists would come to this festival with desires to showcase fresh ideas and rigor through other essences and other discourses in a more democratic and participatory form of cinema, and of course, without ever ceasing to entertain. Solas helped that magic. 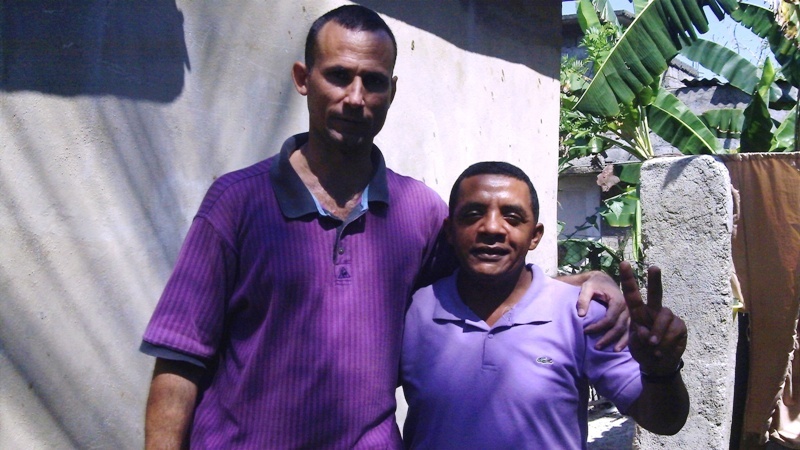 Many people from Holguin helped him, while some others planted trials and tribulations along his path so that he would get knocked down from time to time. Between so much bureaucracy and vulgar provincialism, they would have soon stripped the author of “Lucia” from his desire to go on. What is happening now could have been seen coming. Finally, during the beginning of Spring, the effort took place (at least the public ones in the province) between the opinions and decisions of Alexis Triana (the Provincial Director of Culture) and Sergio Benvenuto Solas (nephew of Solas and president of the Festival Organizer Committee). First came some e-mails, they say, and later the local publication of “La Luz” which informed a small number of Holguin natives of Triana’s reasons. Since so few of us have access to our e-mail, we have to go along with what Triana has to say about Benvenuto’s position. The fact is that the festival will be annual, but will be held in the capital of the country. 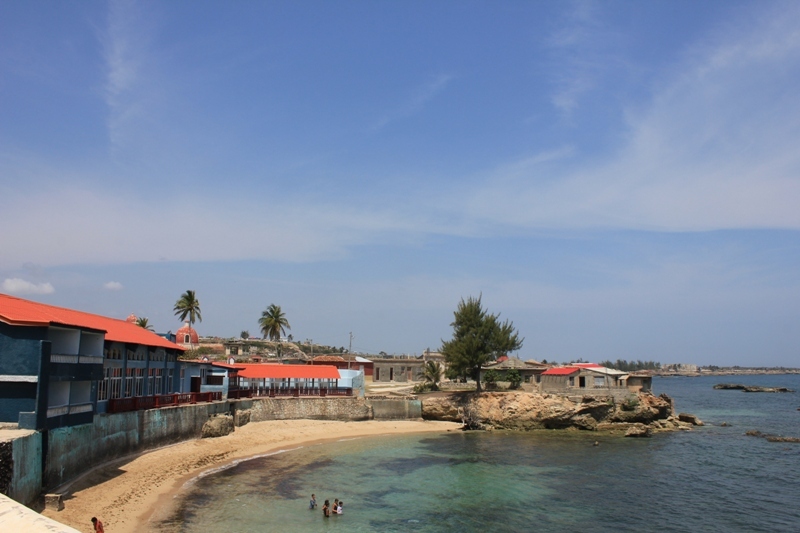 Gibara, one of the Cuban paradises of the North Atlantic, had sharpened its teeth. A swarm of men and women prepared their homes to offer rentals for foreign and national visitors. Drinks, fish, and seafood already spread their aroma throughout the red roofs which characterize this seaside villa. Mario is a childhood friend of mine. For three years now he has been aiming to make the salary of a few months in only one week through cinema: “People buy and look for all sorts of things, from old books, old pieces of artwork, precious woods, corals, fish, everything. The festival was the important moment”, he painfully told me. During the beginning of March I had passed by Gibara and firsthand witnessed the anxiety. To me, Gibara produced two very different emotions. It was there that I discovered weekend breaks during the 90’s. It was our escape from the city into that paradise we believed in. Later, in 2006, I received the worst repudiation attack ever. That specific hate session was prepared by the then Captain Abel Ramirez. We were at the house of the dissident Alexander Santos and they placed the mobs there to bark against us. Afterward, I returned to that place with somewhat of a painful sensation. Last Saturday, April 2nd, they distributed “La Luz” newspaper, the informative paper of Provincial Culture, and apparently the remedy was worse than the disease. Since no one can be blamed, the people do not believe in the absurdities of a Benvenuto who only comes once a year. They also do not accept much diatribe from the provincial Director of Culture. Apparently, the justifications don’t matter when it deals with an event which placed the town at the spotlight of the entire nation for a few days, and which also provided food for dozens of families (with room, car, and bike rentals) from the recently caught fish and with a cinema festival full of young blood. I ate at the home of two new friends and spent an afternoon of coffee and good conversations with the recurrent theme of the festival. Everything points out to the opinion that the majority would have preferred a dialogue, saving the film festival in Giabara at all costs. If the supposed clumsiness had not been ordered from an ideological position of the Communist Party, then there would be no reason to not have been able to find a solution. A concert by Carlos Varela or X Alfonso, a contemporary art exposition, and interesting debates (which I took part in various times) which accompanied the film screenings were well worth sitting at the table to debate if it would continue being held here in this worm-eaten land or not. I am translating the feeling of local families, and I think I have the right to condemn the fact that the weapons of fruitful dialogue have been ignored, although the previously mentioned provincial functionary has stated in his article that “a new habitual round of anti-Cuban paranoia” has occurred. The festival was mine as well, and although an invisible edict dictated nearly 4 years ago has left me outside of the debates, the public readings, and the possibilities of publishing, I would have added my signature in favor of saving that festival which vanished in our very own hands. Wherever he is, Humberto Solas must be furious. In 2003, the excessive sentences which he and his brother, Luis Enrique, were condemned to served was shocking news among the youth of the time. Shortly after being arrested, one could already sense his bravery in confronting the regime and not remaining silent before so many injustices. He carried out various hunger strikes and headed civic protests which forced the prison authorities to give in to some of his demands. In one case he protested against the restriction of telephone access in the Combinado Prison of Guantanamo. 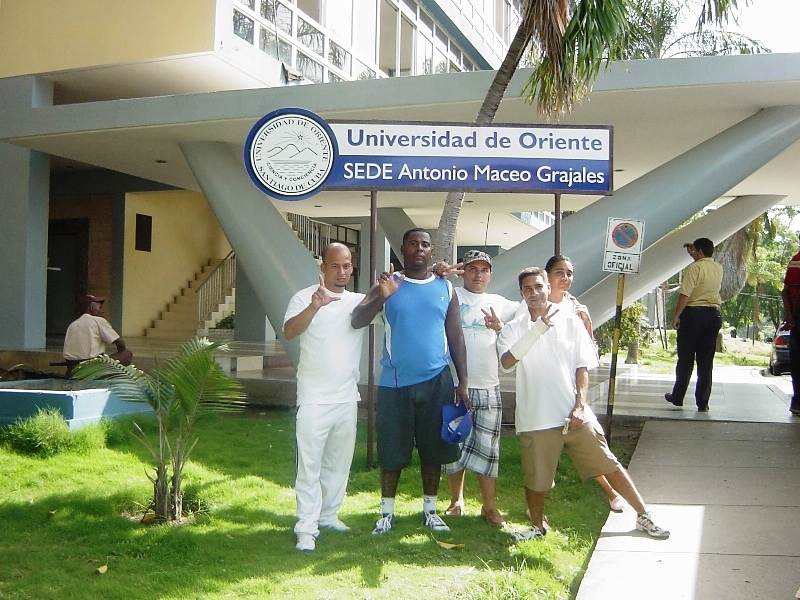 This protest was recorded and heard throughout various radio stations heard by Cubans. In the year 2006 he was awarded the “Carlos Manuel de Cespedes Dignity Prize”. This award is handed out each year by the Eastern Democratic Alliance to a local political prisoner. I heard Guillermo Llanos Ricardo and Juan Carlos Gonzalez Leyva refer to this “lion” with much devotion. His decision to demand 25 minutes on the phone weekly so that he could use it “for whatever he felt like”, and according to what he told me, he made the police guards who kept an eye on him to accept him as the journalist he is, even if he was in jail, and he kept reporting to the rest of the world. A few days ago, I was able to interview him at his home in Palmarito de Cauto, a small neighborhood lost at the edge of an old road which leads to Palma Soriano in Santiago de Cuba province. When I arrived, I noticed some vigilant faces casually standing around the area. He was only “half-freed”, for the document which authorized his release from prison states that his sentence expires in 2028. 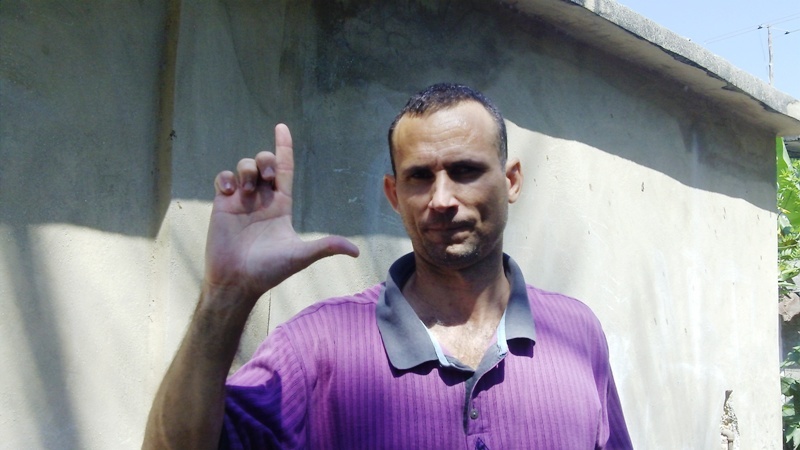 Jose Daniel Ferrer really worries the political police in that province, and his refusal to accept exile kept him as one of the last ones behind the bars to be released. You have returned from hell, you bring the chronicles of horror. What can you tell us? “I went through various prisons. What shocked me the most when I got to Pinar del Rio was that the common prisoners carried the scars from prison on their faces and bodies. The torture methods most used are those known as “The Little Chair” and “The Shakira”, both of which have been described so many times before. After being in Aguadores, in Santiago de Cuba, I heard of cases where prisoners had their feet and hands cuffed for up to three days. While they are being kept in these positions, they have no other option but to urinate and defecate on themselves. Over there in Kilo 5 1/2 Prison of Pinar del Rio they even went to the extreme of shoving dirty clothes into the mouths of those being tortured so that we political prisoners would not hear the screams and report such horrific acts. On July 29, 2007, in Kilo 8 Prison of Camaguey, the jailers assassinated three prisoners after savagely beating them because they had gotten into a fight with another prisoner. They announced that the victim was already dying, but instead of tending to his wounds they handed out knives and began to attack those who committed the crime. There were more than 40 guards in a matter of 3 or 4 minutes and they all unleashed their anger using sticks and iron bars against these three men. Two of them died instantly — one of them was beaten so hard that pieces of his brain filled the hallway. As far as I have understood, the only one who survived was left completely insane. Those killed were Amaury Medina Puig, 25 years of age, and Carlos Rafael Labrada Oses, who was also very young. And what happened to the police guards? They got away with all of it thanks to the complicity of the authorities. They ended up accusing the only survivor of causing the fight, stating that any deaths were the sole products of that quarrel. In Pinar del Rio, one prisoner threw his own excrement at one of the penitentiary chiefs, and as punishment, the latter sent the prisoner to the cell of his worst enemy. The corpulent man who was kept in that cell saw this incoming prisoner as a prize and he quickly began to beat him. He also raped him, ate his food, and ended up killing him and buried him under sheets until his stench became unbearable for the other prisoners. The guards made all prisoners evacuate the cell, but in the end nothing happened. Cases such as this one can be found in the dozens and dozens. I have a heavily detailed written report, and will find time to denounce it”. The recent ousting of the economic minister, Marino Murillo, seems to have proven the theory of the expiatory goat, that infinite night full of long knives aimed at all those who reside in power or who walk around anywhere near power. Murillo was the face used by the Castro tyranny to expose its own version of massive lay-offs scheduled to take place this year. But they needed that: to explore, but if they could get no results from it, then to hell with the experiments. 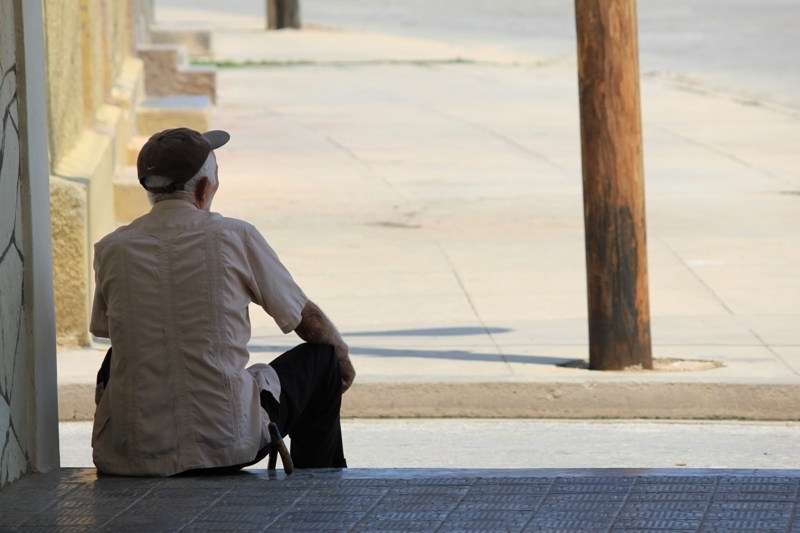 For now, his was the first head that has rolled after president Raul Castro himself publicly made it clear that the decree of “work force availability” (a euphemism for massive layoffs) should not be inflexible. During the last few days of December 2010 he was congratulated with a week’s stay at the tourist resort of Gualdalavaca, located in the northern coast of Holguin province. This is a place which is forbidden to common and everyday mortals of this country, yet which is always accessible to ministers, generals and their families, and tourists. But days before, Murillo had spoken before the cameras and microphones on national TV, asking for an adjustment on spending at the domestic level. He was asking people to tighten their belts as much as possible again, because another period of job rationing for 1 million Cubans had begun, and now one had to play the game with aptitude. However, as the saying goes, the drunkard thought one thing while the bartender thought another. 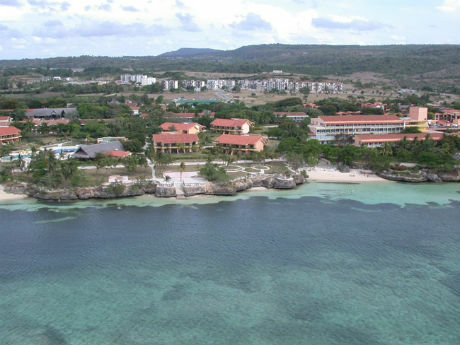 Murillo was authorized to stay in a luxurious Gualdalavaca resort for a few days along with twenty relatives. In less than 48 hours, half of Holguin already knew how much had been spent on the hobbies of each of the relatives and friends of this economic Minister who was the successor of Carlos Lage. And of course, it was very shocking to see this man engage in such spending just a few days after telling the country to tighten their belts one more notch. Since the Cuban press does not publish any reasons explaining why someone was laid off, everyday Cubans living in this area have to confirm for ourselves the information given to us by the hotel companies, which they claim they saw and heard. Before returning to Havana, the amount on the visitors’ check was extremely high, according to those who work there. Others say that certain communists of high rank and responsibility who work in the hotel complained to the authorities in Havana about the high expenses of Murillo and his clan. However, they just received silence for an answer. The truth is that this reckless spending has only been matched by the actions of little Elian Gonzalez and his gang.